Lucky is part Arabian and the vet believes he is in his mid-20’s. He joined us at the Jackson Valley Ranch this week with Star, a Morgan- Arab cross ( Mor-ab) She is believed to be 8-10 years old. 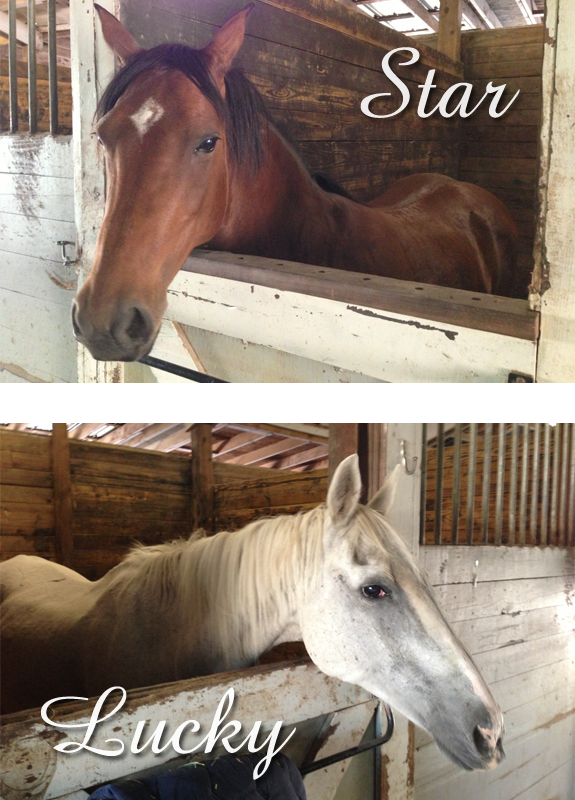 Both came to us on their way to slaughter from Eastern Washington. Star is 14.2 hands, and has a very sweet disposition and will make a great trail horse. Lucky is her faithful companion and he is 15 hands and probably in his mid-20’s . We agreed to take Star, and give her a place to live while she gets healthy and trained. But as the horse trailer pulled up, and Star was getting loaded on to the truck Lucky jumped aboard, as a stowaway! ( hence, the nickname) He has a 12 inch gash in his side which will need ongoing vet attention, and both need horseshoeing, vaccines, and hay. We need to raise $1500 per month for their ongoing care. Please help donate and give these beautiful animals a chance!